Size: - Pull the car back and watch with baby as it races away. Laugh with baby as thebeads pop-pop-pop in the top of the car. Encourage baby to crawl after thecar, which helps develop motor skills and crawling. The pop-up beads introduceconcept of cause-and-effect. 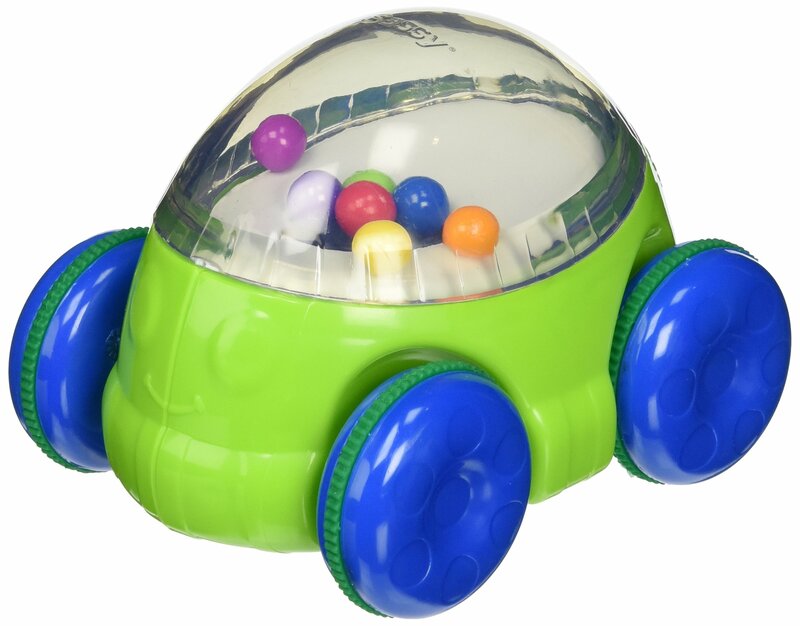 From the Manufacturer Sassy Pop-n-Push Car inspires exploration and promotes cause and effectlearning. It is fun to watch baby pull the easy to grasp car back and watchthe popping beads that hit the cars top. This brightly colored toy willencourage 6 months and older children in motor skill development.